Welcome to the dynamic, online resource designed to help Massachusetts students plan for a successful future by learning about themselves and plotting their unique path. 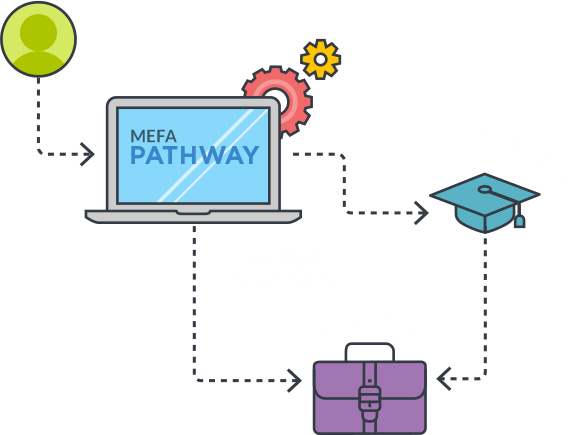 MEFA Pathway is Massachusetts’ free online portal designed to help students plan for academic success through middle school, high school, and beyond. 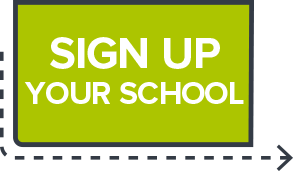 MEFA Pathway: Your Plan For The Future is Massachusetts’ free online portal designed to help students plan for academic success through middle school, high school, and beyond. Available to students from every corner of the Commonwealth, as well as educators and parents, MEFA Pathway provides an array of tools and resources to create an informative and engaging web experience. Through a seamless integration of interactive features, fun and revealing assessments, and informative step-by-step guides, MEFA Pathway offers an ongoing process of discovery. Students will use state-of-the-art technologies to plan how to make the most of their secondary school educational experience and the opportunities that await them. MEFA Pathway serves as the “connective tissue” of Massachusetts’ college and career planning initiatives, created by MEFA, the Massachusetts Educational Financing Authority and with the support of the Commonwealth’s Department of Elementary and Secondary Education and Higher Education. Designed to initiate engagement beginning at the middle school level, MEFA Pathway establishes a dialog with students — across the full spectrum of socio-economic backgrounds — inviting them to begin assembling a picture of themselves, their interests, and their goals. Employing the engaging and immersive features of digital platforms with which students are familiar, MEFA Pathway’s agile and responsive tools and features will accompany students throughout their entire secondary school experience. Featuring a highly customizable portfolio, students can use MEFA Pathway to construct a personalized digital picture of who they are and where they want to go, all while continually being informed and updated about key milestones and opportunities relevant to their post-secondary school lives. As a valuable resource for educators and parents, MEFA Pathway provides adult influencers in students’ lives with unique and organic insight as to their students’ ambitions, challenges, and goals. Uniquely designed to share information, tips, and insights, MEFA Pathway is the indispensable digital tool and resource.